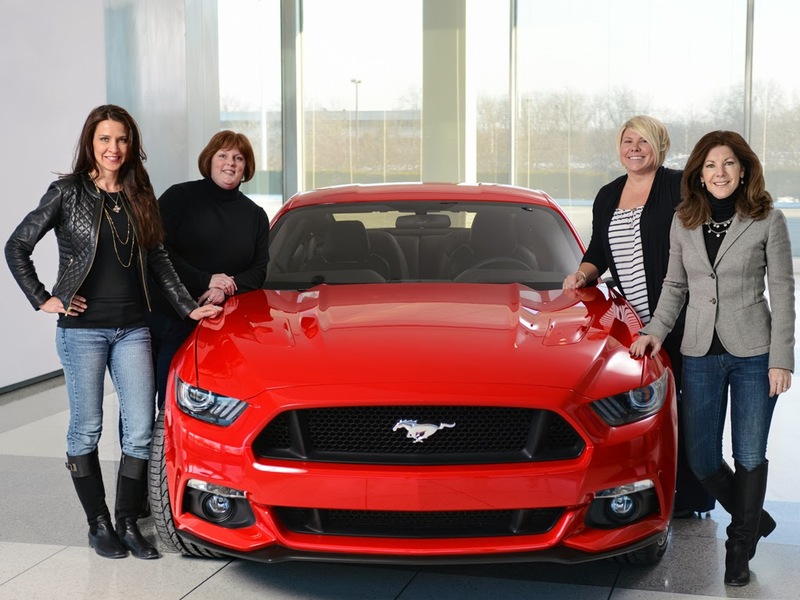 BRIGHTON, Mich - In celebration of International Women's Day on March 8th and National Women's History Month, Ford Recognizes Women Behind the 2015 Mustang. Typically, people tend to think masculine and sporty when asked to describe the Mustang. Ironically, some of the key roles in Mustang history have been filled by women! Ford Motor Company is taking this opportunity to celebrate these women, their successes, and their massive contribution to the iconic pony car over the last 50 years. Did you know the very first Mustang in America was purchased by a woman? That's right! On April 15, 1964, two days before the car even went on sale, 22-year-old Gail Brown purchased her very own Mustang. Since then, more and more women have been aiding in Mustang, and Ford, success by holding key positions within the company. Fulfilling roles in everything from engineering to marketing, these ladies have helped continue to make the Mustang legacy a household name. Now, let's learn about a few of the gals! Marcy oversees every detail in the all-new Ford Mustang process as it comes to together. From the initial planning until it hits the showroom, Marcy is there. In addition to her role in the Mustang development, she also oversees the Ford Explorer, Taurus, Police Interceptor, Flex and Escape development. Marcy is very passionate about her career and sharing her knowledge with others. She is a mentor in the manufacturing leadership program and has been on the 100 Leading Women in the Automotive Industry list two times! When you sit down in that 2015 Ford Mustang next fall, remember to thank Michele. Her role is to ensure that the customer experience is top-notch. Michele is responsible for the integration of everything from how the car sounds, to how it feels when it drives, the fuel economy, driver and passenger comfort, and so on. She gives a different perspective from the men on the team, seeing different elements that have helped create the most refined driving experience in Ford history. Michele is so proud to be apart of this team. She shares the same passion for the Mustang as her fellow Ford co- and wants to take customer's personal car connection to the next level. A car that is "designed to be designed by you" requires a variety of diverse colors, packages and special editions so that each vehicle can be unique for the customer. For the last ten years, Susan has guided this process by selecting those iconic paint colors and interior materials for the Mustang. Lampinen isn't afraid to take some risk with the Mustang. She is always looking for authentic, expressive materials that denote performance, sportiness and power. Her favorite Mustang color throughout the years? None other than the savvy, Race Red. Melanie is the marketing hub for the United States, bringing the car to the customers in the marketplace and then monitoring its performance. She takes part in both research and development as well as the consumer marketing process. Melanie must take many factors into account when it comes to the different customer groups. Men and women use the vehicle and its features differently, so it is important that all of these consumers be kept in mind when making vehicle decisions. Banker loves the dedication at Ford. Everyone loves Mustang and Ford knows how important it is to continue to bring that passion to Mustang fans with every product they make. Happy International Women's Day and Women's History Month! Here's to all of you ladies who bring so much accomplishment and success to Ford Motor Company! Ladies, celebrate YOU at Brighton Ford with a brand-new Ford vehicle. We have a huge variety of Ford cars, trucks, SUVs and crossovers at our dealership! Check out our online inventory and then stop by for a test-drive! Brighton Ford is located at 8240 Grand River Ave. just north of I-96 in Brighton. We are a family owned and operated business that strives for customer satisfaction. For more information on Brighton Ford visit BrightonFord.com or give us a call at (800) 836-8206.